Many children with autism are often either unusually sensitive to touch, sound and visual stimuli or seek more of these sorts of stimuli compared with typically developing children. Some can’t stand the feel of rough clothing, whereas others are mesmerized by the movements of a spinning top. Up to 90 percent of children with autism are thought to have sensory problems, such as being overly sensitive to background noise or not noticing when their hands are dirty.The latest edition of the Diagnostic and Statistical Manual of Mental Disorders lists having either too intense or too mild reactions to sensations as a behavioral criterion for the disorder. A new study, published 25 June in the Journal of Autism and Developmental Disorders, suggests that children with autism who seek sensory stimuli tend to have severe symptoms, such as impaired communication, low intelligence and trouble adapting to change. The researchers assessed 679 children with autism, aged 3 to 15 years, referred to a clinical center in Israel for diagnosis and treatment. They confirmed diagnoses using the Autism Diagnostic Interview-Revised and the Autism Diagnostic Observation Schedule, two widely used tests for the disorder. The researchers split the children into two groups based on their sensory responses. The children in one group, dubbed ‘unusual sensory response,’ have strong reactions to certain sensations, and may seek them out. For example, they may become absorbed in the feeling of sand sifting through their fingers or examine an object for hours on end. In addition to having low cognitive ability, these children have trouble adapting to changes in daily life, such as getting dressed or going to school. 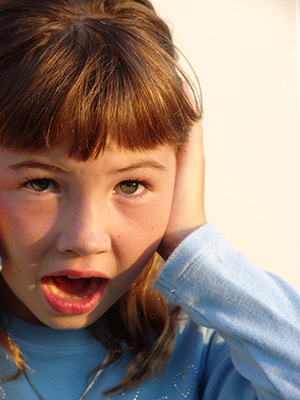 Children in the second group, called ‘negative sensory response,’ are hypersensitive to everyday noise and respond in a highly emotional or negative manner to specific sensory information, such as touch. This group is more likely to display severe repetitive behaviors than children in the first group. Many of the children fall into both groups: 70 percent have unusual sensory responses and 66 percent have negative sensory responses. Both figures are slightly higher than other studies report. The study has one important caveat. It did not include children with autism who are under-responsive to sensations — for example, those who don’t notice when the clothes they are wearing are twisted.